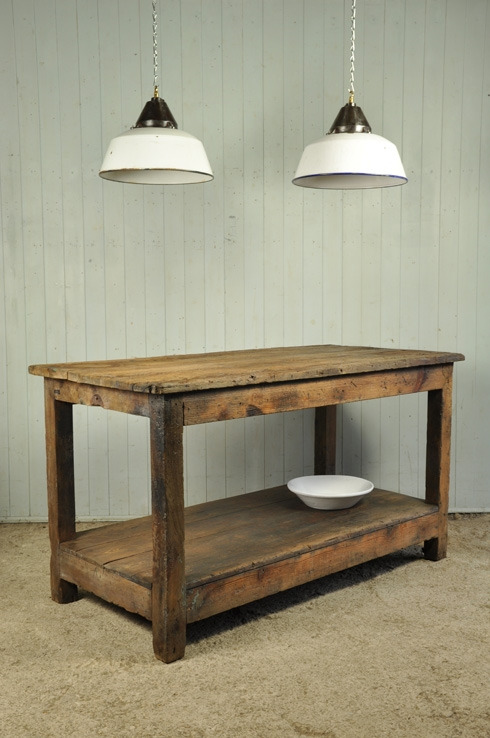 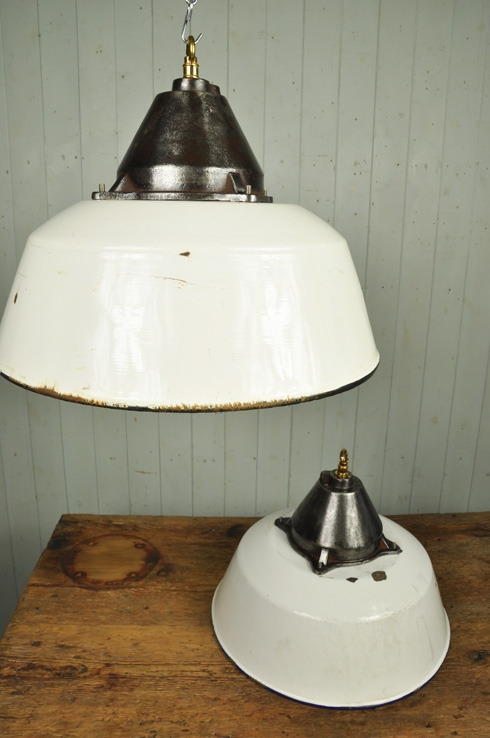 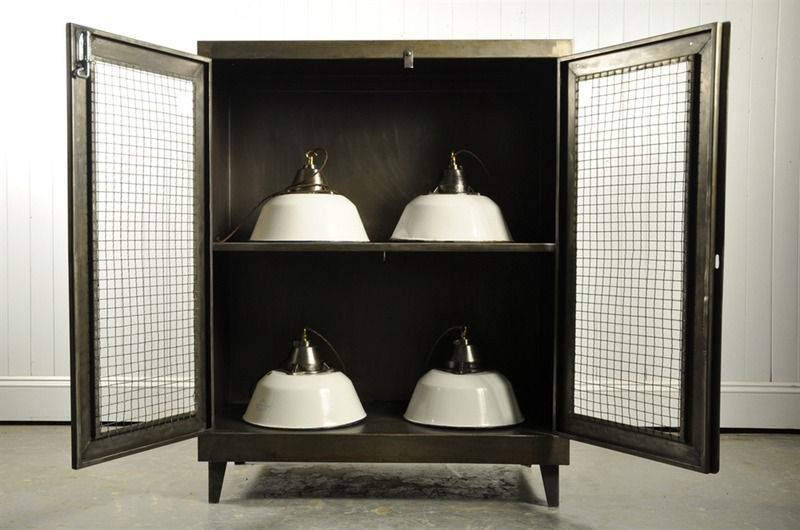 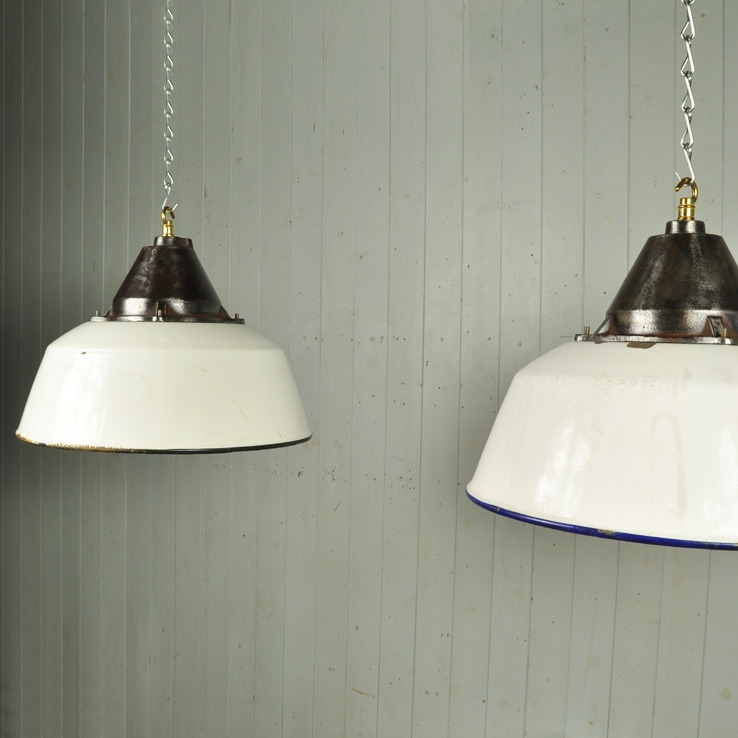 These old industrial lights were sourced from disused factories in the Czech Republic. 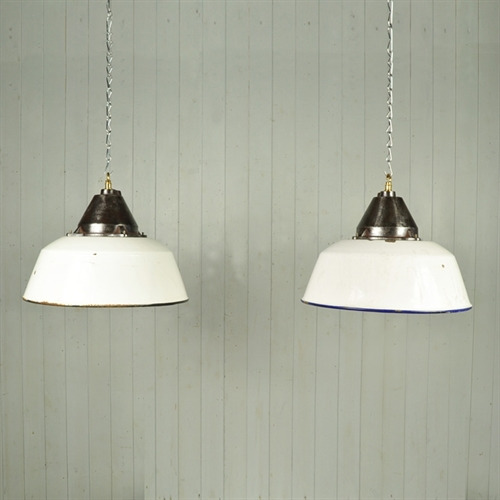 The enamel is an unusal colour for these ceiling lamps, a few bumps and small chips here and there, all very authentic. 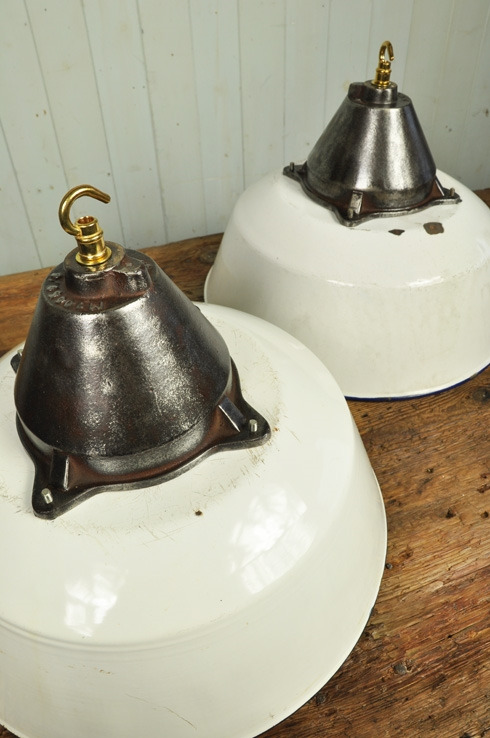 The cast iron galleries have been polished and lacquered. 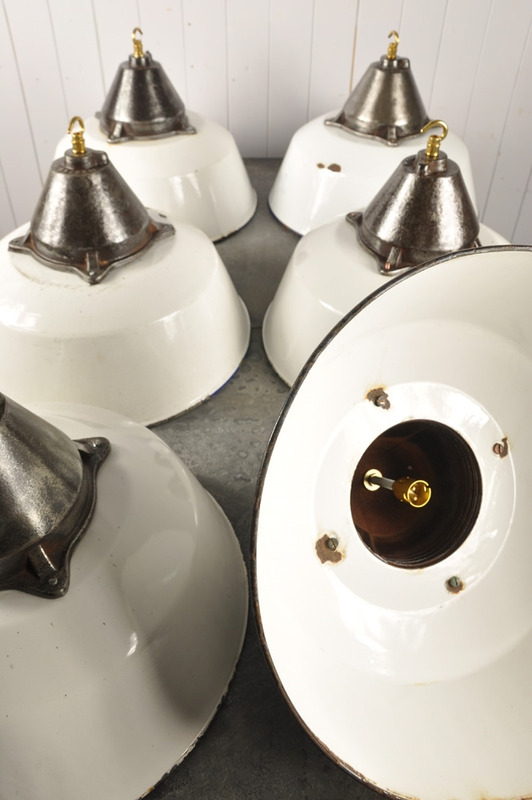 These lights have been completely stripped and the components replaced with modern brass bayonet style ( B22 ) bulb holders. 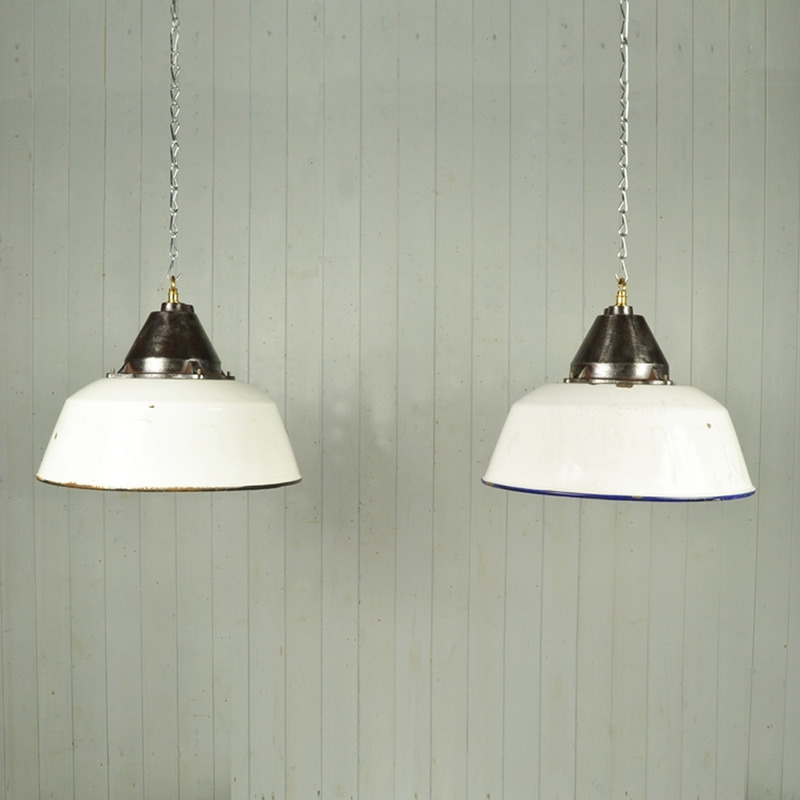 Supplied with chrome hanging chain and a simple ceiling hook. We can also supply braided flex @ £ 4 / m.
2 available @ 25 cm h x 35.5 across. 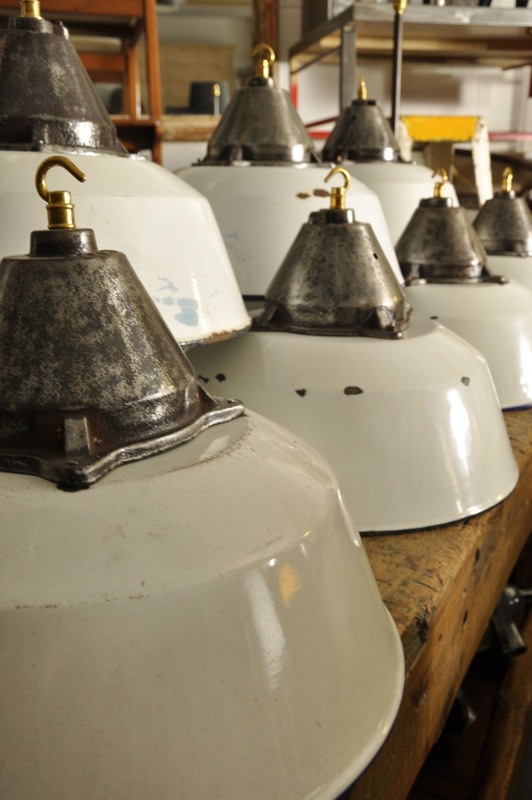 i can usually get more of these.